Flat 2D Photos has become old now. Nowadays, 360 Degree Photos are quite popular among the people. 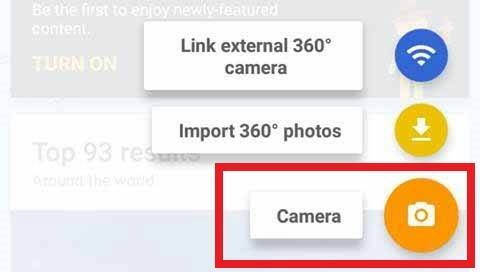 If you are looking to take 360 Degree Photos from your Smartphone, then this Article is for you as today I’m going to Share How to Take 360 Degree Photos On Android & iOS. To take 360 Degree Photos, there are many methods and Apps available that can help you to take 360 Degree Photos. Here, I’m going to share multiple methods to take 360 Degree Photos with your Smartphone. Apart from this, there are many 360 Degree Cameras as well using which you can capture a high quality 360 Degree Video & Photo. 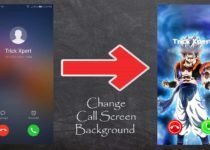 There are many Smartphone which has an inbuilt feature to capture 360 Degree Photos while in some phones, you need to download third-party Camera App. You can either use the inbuilt feature or follow this Article to take perfect 360 Degree Photos. So, without wasting more time, let’s proceed further and check out How to Take 360 Degree Photos On Android & iOS? 1 How to Take 360 Degree Photos On Android & iOS? 1.1 How to Take 360 Degree Photos On Android & iOS? 1.2 How to Edit 360 Degree Photos? How to Take 360 Degree Photos On Android & iOS? Taking a 360 Degree photo is not a difficult task. Most of the Smartphone nowadays comes with an inbuilt feature of photosphere/surround shot and panorama. Simply, select it and start shooting a 360 Degree Photo/Video. As already said, there are many Apps available on Google Play Store which you can use to take 360 Degree Photos from your Smartphone. 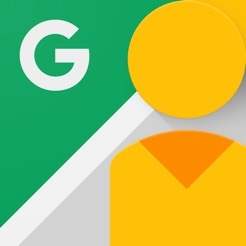 I Personally Prefer Google Street View App which is one of the most popular and highly rated App. Firstly, Download Google Street View App from the above link. Now, Click On the Camera Icon. Now, you can see a Dot on your Screen. Simply, Point your Camera on the Dots and start moving your Camera according to the dots. You simply need to point your camera at the dot 20 – 30 times until you capture the surrounding. Once done, wait for 20 – 30 seconds to process the image. Done! You have captured a 360 Degree Image using your Smartphone. 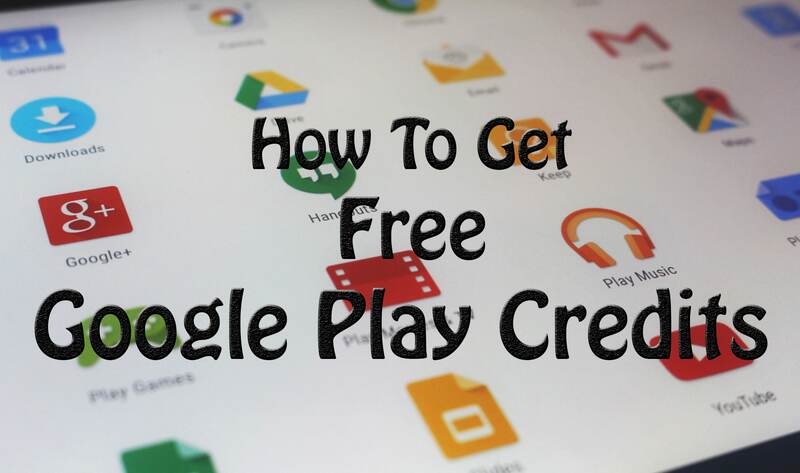 This can be done from your Android Smartphone as well as iOS Device. Apart from this, if you like to Edit your Captured 360 Degree Image, you can do so with popular Android Apps. Below I’ve shared the App to do so. How to Edit 360 Degree Photos? First of all, you need to download one App named “THETA+” from the link below. 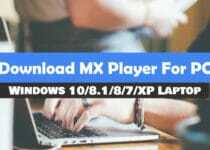 After downloading, Open the App. Now Select the 360 Degree Image you want to Edit. Now you can Edit your 360 Degree Image easily. You can also Apply Filters, Create Animations, Correct Image, Combine Image and do lot more things. Done! With this simple App, you can easily Edit & Apply Filters to your 360 Degree Photos. 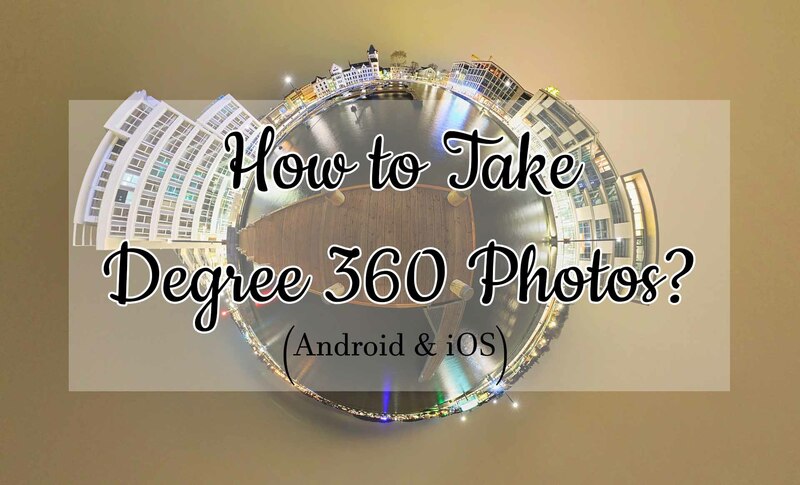 This was the Article On How to Take 360 Degree Photos On iOS & Android. Apart from this, there are many other Methods & Apps using which you can take perfect 360 Degree Photo. Also, there are many Smartphones which comes with an In-Built feature to Create 360 Degree Photo. After creating, you can easily share and Post 360 Degree Photos On Facebook. If you love clicking Photos with Selfie Camera Apps or want to take 360 Degree Photos, you can also purchase a 360 Degree Camera that can Capture Photo as well as a record 360 Degree Video. Hope you liked this Article On How to Take 360 Degree Photos. Do Comment below if you have any query. Stay tuned with us for more latest Tricks & Updates.